Did anyone else dislike progress reports in high school? I certainly did. Thankfully, this is more of a "check in with the blog world" report, so I don't feel under as much pressure to bring an apple to the teacher. Between work, renovations, trips to Lowe's, feeding a hard working team, managing a lot of projects (well, managing may be stretching it), keeping track of schedules, and making decor decisions, this week has been a bit chaotic. Such is the life of manual labor and house renovations. But it's a good life. It's incredible to see how far we've come in just six days. 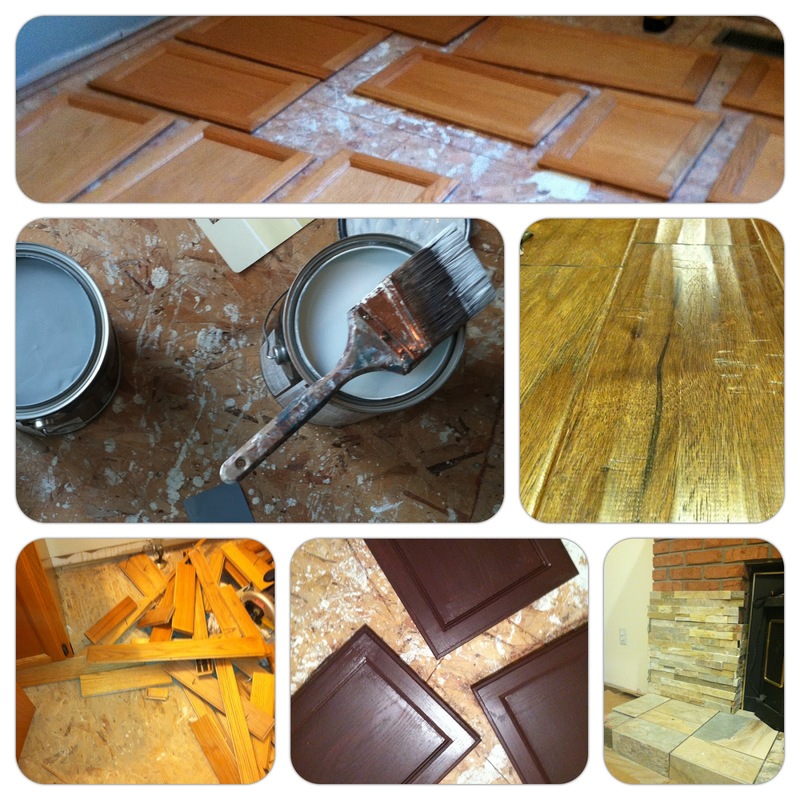 More so, it's hilarious to think that before we began, "putting in wood floors," was a simple, nonchalant comment that has turned into the biggest task. Nothing looks close to what it did when we walked in for the first time. It's finally beginning to feel like our home! Maybe it's the colors on the walls or the constant flow of loved ones that makes the new house feel cozy and warm (despite being a construction zone). I've been taking most pictures with my iphone, simply because it didn't take long to realized the potential disaster of having an expensive camera anywhere around power drills, saws, and paint. I'll bring it back to it's rightful duties very soon. Since our countertops and carpet arrive next week, we have some deadlines on our hands. We will continue to be covered in sawdust and paint throughout the weekend. No complaints here, it's well worth the scrapes and bruises.